Even when you have the best workout equipment in your home thanks to ProForm Coupon, it can be tough to build up the right exercise routine to help you reach your health and fitness goals. But when you use iFit Coach, you can have personalized help in achieving your peak fitness. If you haven’t heard of iFit Coach before, you may be wondering just how iFit Coach can help you reach your health and fitness goals. To help you learn more about iFit Coach, we will be reviewing the entire program, from what kind of training is available through iFit Coach to all the ways you can utilize it. First things first, iFit Coach is an all-in-one fitness program. You can access it through its app, from your computer, or even from compatible workout machines. But iFit Coach isn’t like any fitness program you’ve used before. With iFit Coach, you have access to over 16,000 workout programs. This number of programs is constantly growing as new exercise programs are developed and posted by the iFit staff and community members. You can work out with the iFit Coach personal trainer, on your own following a Google Map route, and so much more. As iFit Coach was developed by ICON Health and Fitness, the iFit Coach program works on ProForm machines, since ICON also owns ProForm. This compatibility really works in your favor. It means you can easily utilize your ProForm treadmill or other ProForm equipment you own and access the iFit Coach training program. Everyone knows that with the help of a personal trainer, they can maximize their workouts. But when you are already paying for a probably pricy gym membership, who really wants to pay for a personal trainer too? With iFit Coach, you don’t have to worry about that. Your home ProForm equipment gives you access to personal trainers, especially if you have chosen a machine that has a touchscreen. From there, you may want to start by picking a program where you can work out with one of these excellent personal trainers. The most popular way to work out with the various iFit Coach trainers is through the equipment videos. These videos will run on your touchscreen (either the one built into your machine or your tablet), and you will follow an iFit Coach personal trainer as they lead you through a targeted workout. These workouts can take place all around the world, whether you are following the trainer up to the top of Machu Picchu or jogging along a beach in Thailand. With the stunning views and encouragement of the iFit Coach trainer, you can enjoy working out at home like never before. Also, if you like the energy of studio workout classes but don’t want to go to a boutique fitness center, iFit Coach also has workout videos to replace them! Scroll through the workout library to find the high-energy studio classes, with all of them led by a personal trainer. Another benefit of working out with the iFit Coach personal trainers is that they can change the speed and incline of your machine. They will generally warn you, but with their help, you can push your fitness to the next level. You can set your own speed and incline if you aren’t comfortable and rejoin the workout suggested speed and incline settings at any time. While the above personal training equipment programs are plenty for most fitness apps, iFit Coach has even more to offer members in the way of cross-training, which we think puts this fitness training app head and shoulders above other fitness apps out there. In addition to helping you use your fitness equipment more effectively, you can find a variety of cross-training videos on iFit Coach. These videos are also led by personal trainers, and you can do workouts ranging from targeted HIIT exercises to calorie-burning yoga. Each of the types of workouts has several classes associated, so you can build on your progress. Another popular equipment workout option on iFit Coach is the ability to build a Google Maps workout. There are pre-made Google Maps workouts which you can choose from, but if you have a specific area in mind, you can make your own workout. It only requires a few simple steps. First, you will need to start from the iFit Coach dashboard and hover over the “Create” option. The dropdown menu will appear, and you will need to select the first option, which is the Map-Based Workout option. 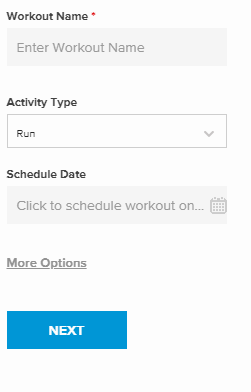 From there, you will be given a simple form fill, where you can name your workout, choose the activity type, and schedule when you will be doing this activity. You can also add a description to help remind you of what the activity is like. After that, you will be able to choose where in the world you want to build your Google Maps workout. 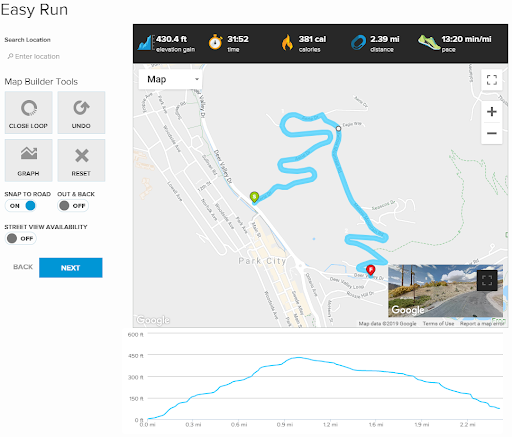 For our example, we chose Park City, UT, and used the tools to make an easy but engaging run. Once you finish, you will be given an overview of your workout, covering what type of workout it is, the elevation gain, time (which is dependent on your preset pace), distance, and the projected calorie burn. If you are satisfied, all you need to do is hit “Create,” and your workout is ready to be used! Along with helping you have the best workouts, you can also track your health and fitness goals from iFit Coach. With the ability to log off-equipment workouts, your weight, nutrition, and sleep habits, you can gain a clear picture of how you are doing. Nutrition is a key aspect of any health and fitness plan, but it can be tough to manage an effective nutrition plan without help. To help you succeed, iFit Coach has a variety of nutrition plans you can try out, ranging from 3-day cleanses to longer weight loss programs like the one displayed above. By following these plans, you can jump-start your weight loss and start moving in the right direction again. 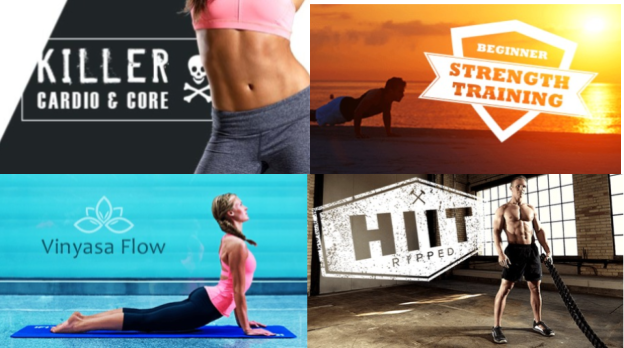 There is a thriving community of fitness enthusiasts on iFit Coach. You can connect with friends, follow the accounts of inspiring fitness gurus, create private and public challenges, and so much more. If you are ready to redeem a ProForm coupon or promo code and pick up a machine that comes with a free year of iFit Coach, then click on one of our links and be ready to shop!